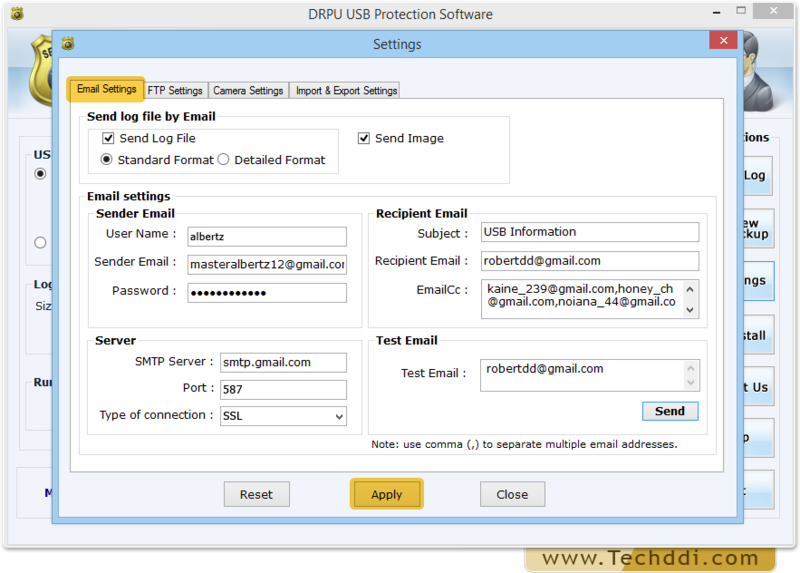 Select Email Settings option to send log files and captured image by camera via Email. 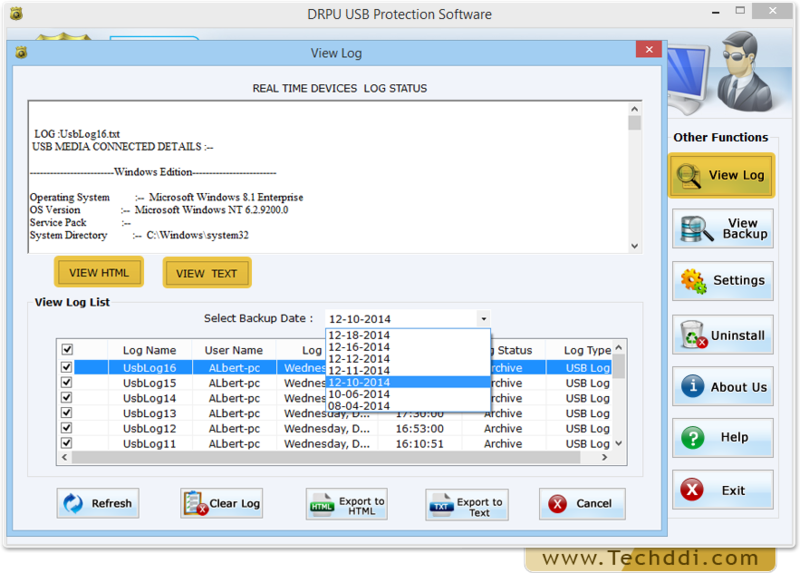 You can send log files in standard and detailed format. 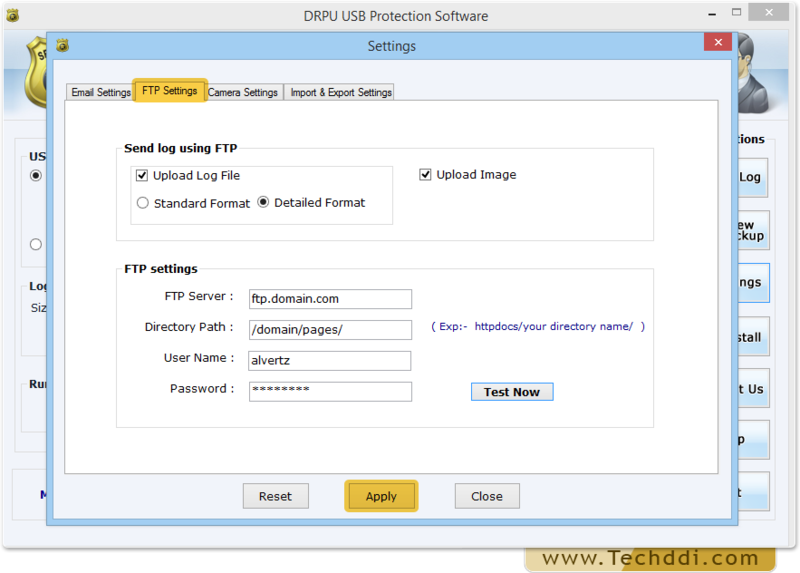 You can Upload log files and captured image by camera using FTP settings. 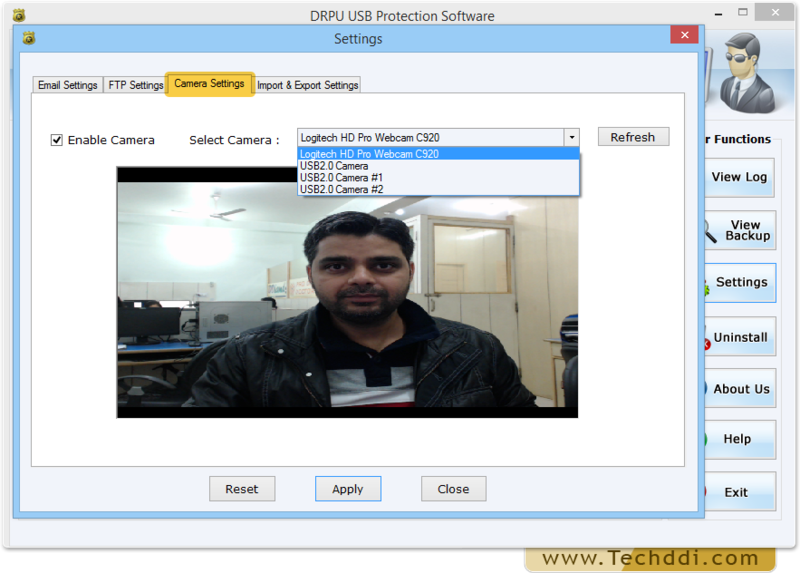 Select camera to capture image from dropdown menu which is connected with your computer. 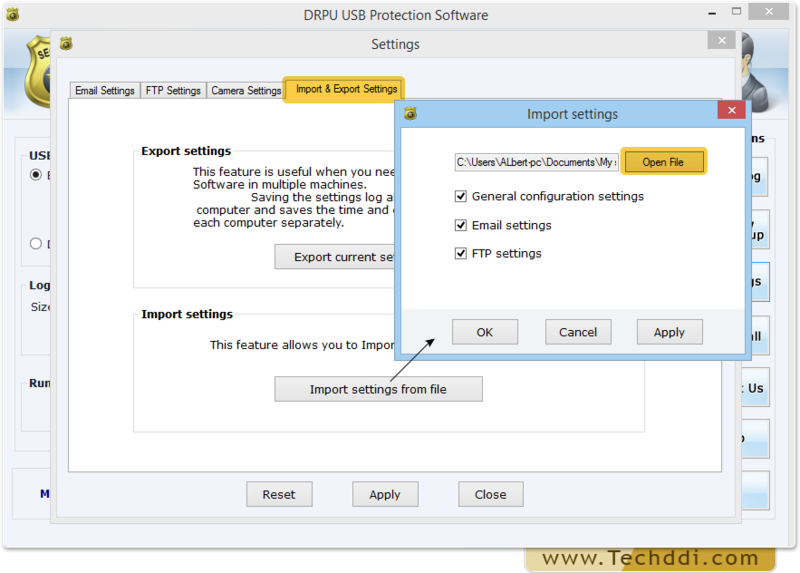 Software provide option to export general configuration settings, Email settings and FTP settings. 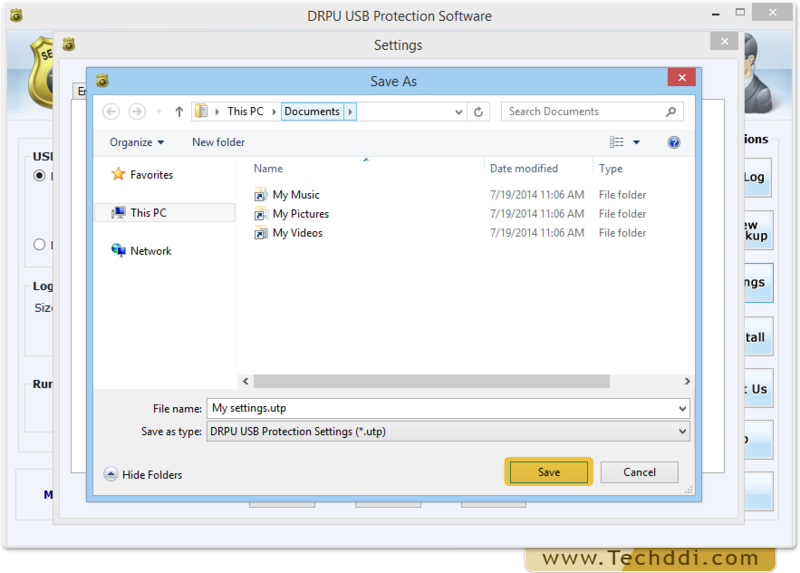 Browse the drive location where you want to save settings, specify the file name and save as type. 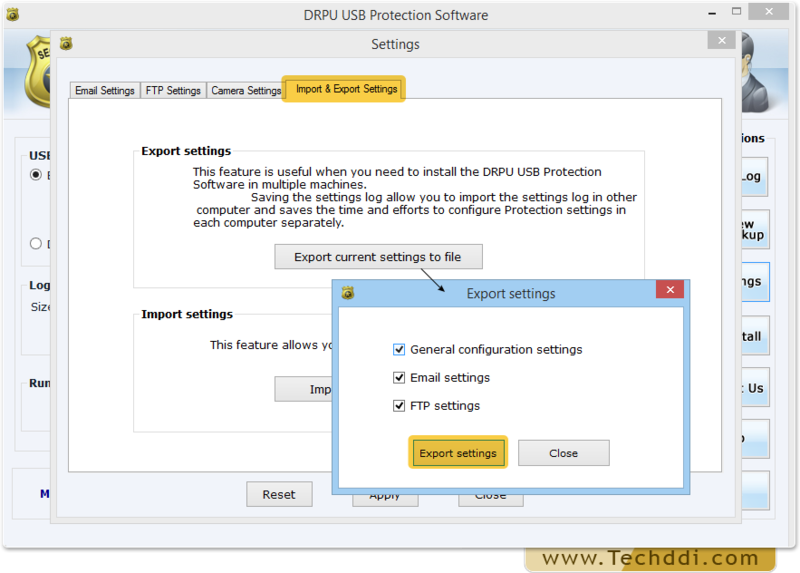 You can also import Email settings, FTP settings and other configuraion settings using Import Settings tab. 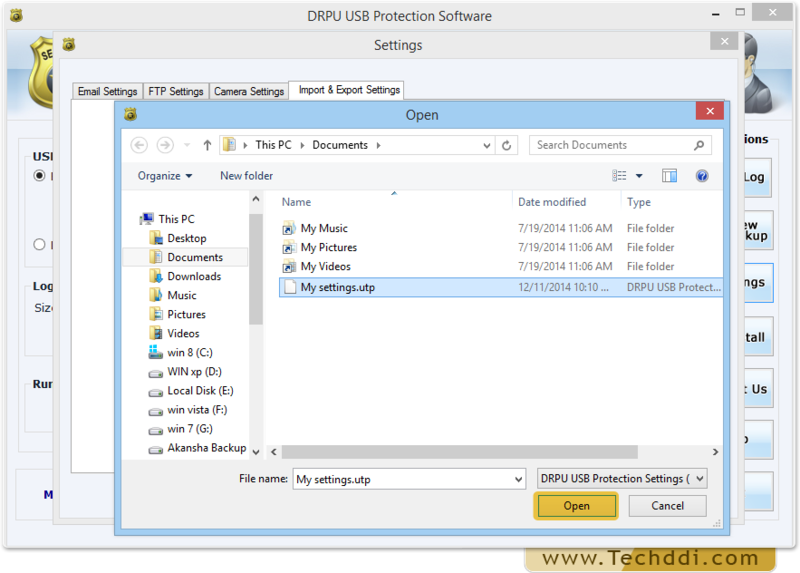 Browse the file location, select settings file which you want to import and then click on “Open” button. 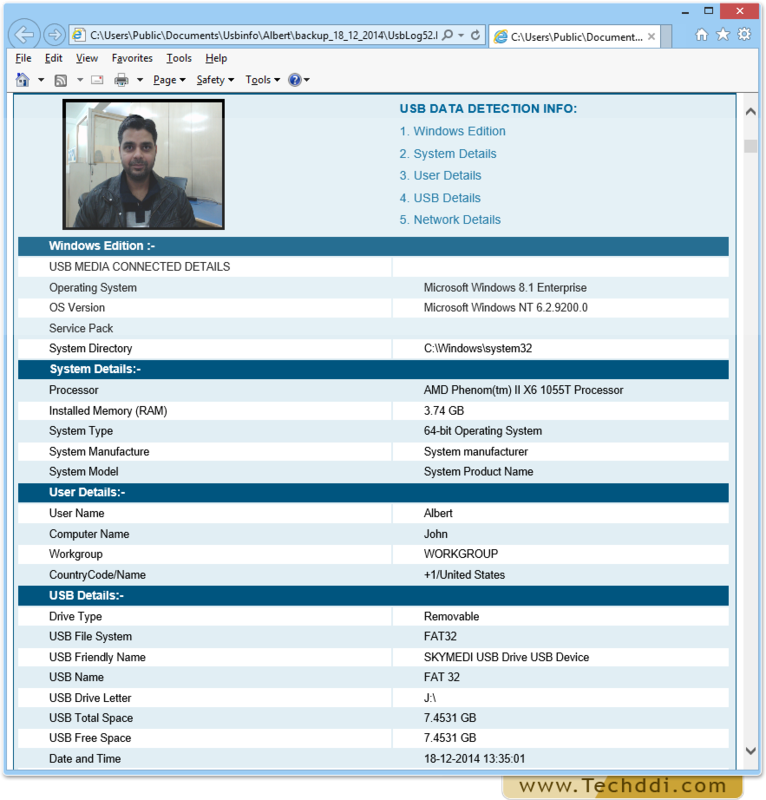 You can view log records in HTML and TEXT file format. Above screenshot shows log file information in HTML file format.